The UDAR and Svoboda factions in the Verkhovna Rada have announced that they have quit the parliamentary coalition. "The UDAR faction states that it is leaving the coalition," faction leader Vitaliy Kovalchuk said at a parliament meeting on Thursday. 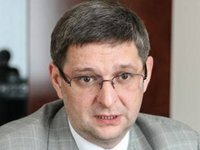 "Since we see that the Verkhovna Rada is not set for constructive work in accordance with the will of the Ukrainian people, Vitali Klitschko's UDAR faction states that it is withdrawing from the European Choice coalition in the Verkhovna Rada of Ukraine of the seventh convocation," he said. Kovalchuk said that a constitutional mechanism had been created to allow the Ukrainian government to dissolve the Verkhovna Rada and set a date for early parliamentary elections. Svoboda faction leader Oleh Tiahnybok also announced his faction's withdrawal from the coalition. "The Svoboda faction announces the withdrawal of our faction from the majority coalition," he said. Independent MP Serhiy Mischenko, in turn, said from the parliament's rostrum that 15 independent deputies were also quitting the coalition. As reported, the European Choice coalition of deputy factions was created on February 27, 2014. It included 250 MPs. The coalition was formed by the factions of Batkivschyna, UDAR, Svoboda, the Economic Development group, the Sovereign European Ukraine group, and other deputies. The dissolution of the coalition and the failure to form a new coalition within 30 days will serve as grounds for the president to dissolve parliament and call early parliamentary elections.